Do TWICE the good with ONE donation. 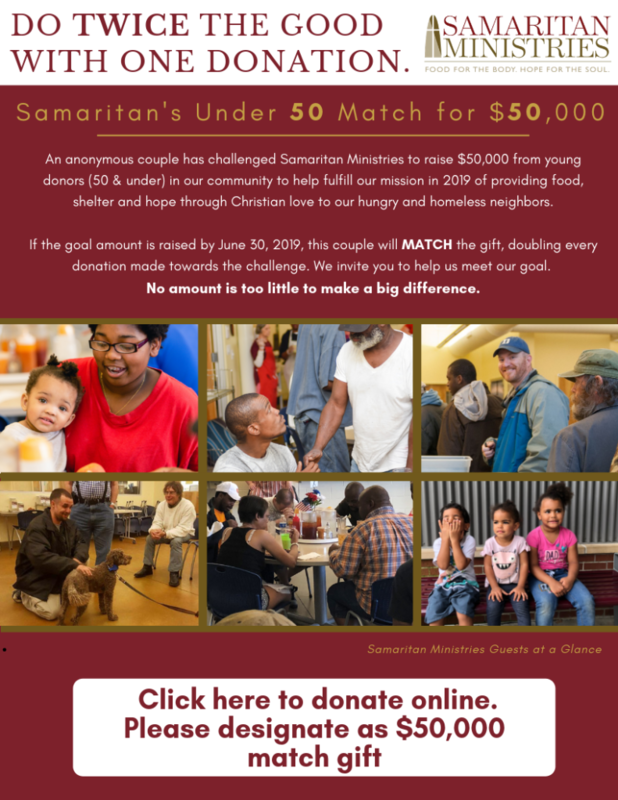 Vote for Samaritan volunteers for 2019 People’s Choice Awards through April 8! 2019 Tour de Llama Registration Now Open!